LA artist Lauren Bon issues a challenge. Photo by Azita Mirzaian. 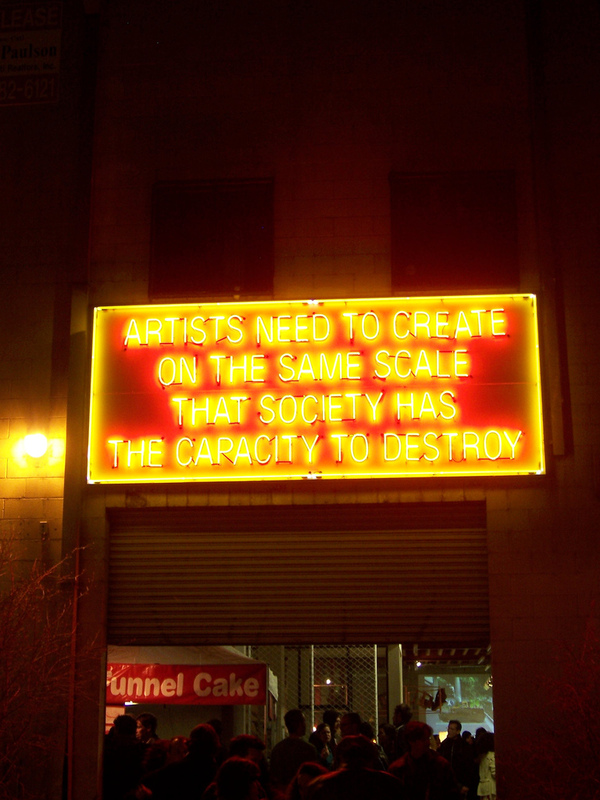 This arresting quote from LA artist Lauren Bon caught my attention today when Kris Krug posted this photo via twitter. I don’t know who created the cool neon sign that’s pictured above but the phrase itself seems to originate from an incredibly ambitious 2005 art project called ‘Not a Cornfield‘.